MML Investors Services, LLC (CRD#: 10409, Springfield, Massachusetts) is a brokerage firm regulated by Financial Industry Regulatory Authority (“FINRA”) and investment adviser firm regulated by Securities and Exchange Commission (“SEC”). Apparently, the company is also known as MassMutual Financial Group, In Good Company, HFG Advisors, and Concorde Financial Advisors. Notably, in sixteen occurrences, a securities regulator sought sanctions, including a fine and censure, against MML Investors Services because of the firm allegedly violating regulatory rules or securities laws. Not only that, but the firm terminated some of its own brokers for engaging in bad (and potentially unlawful) activities. For example, take a look at the disclosures of Michael Vogt, Aaron Black, Thomas Ebel and William Pitre. Michael Vogt (CRD#: 6008415, Rochester, New York) is a prior MML investors Services registered representative. Apparently, he worked for the firm’s Rochester, New York offices between August 7, 2013 and March 10, 2017. FINRA BrokerCheck shows that MML Investors Services discharged Michael Vogt because of his alleged conversion of a traditional life insurance policy. Supposedly, Vogt’s misconduct involved an unauthorized change to a customer’s insurance policy. Formerly, Michael Vogt was a registered representative for MetLife Securities Inc.
Aaron Black (CRD#: 6869620, Little Rock, Arkansas) is a former MML Investors Services broker. From March 15, 2018 to June 6, 2018, Aaron Black worked in the firm’s Little Rock, Arkansas offices. Apparently, MML Investors Services permitted Aaron Black to resign when the firm suspected that he engaged in misconduct. In particular, Aaron Black allegedly failed to disclose his outside business activities. Apparently, Aaron Black did not inform the firm about how those outside business activities possibly affected his duties to the firm and the firm’s customers. Aaron Black’s alleged failure to disclose outside business activities presumably violated the firm’s policies. In addition, FINRA has sanctioned many brokers who omit outside business activities for violating FINRA rules. Thomas Andrew Ebel (CRD#: 1695271, Prescott Valley Arizona) is a previously registered investment adviser and broker. Apparently, he started working at the firm’s Prescott Valley, Arizona offices on March 25, 2017. However, MML Investors Services discharged Thomas Ebel on July 10, 2017. Allegedly, in May 2017, FINRA conducted an inspection of the firm and discovered information about Thomas Ebel that was previously undisclosed. The firm stated that Thomas Ebel may have violated FINRA Rule 2111 by making unsuitable investment recommendations or otherwise making unsuitable trades in investor accounts. Moreover, the firm stated that Thomas Ebel may have violated FINRA Rule 2010 by engaging in unethical business practices. Formerly, Thomas Ebel was a general securities representative for MSI Financial Services, Inc. (Tempe, Arizona). William Pierre Pitre (CRD#: 3087291, Glen Allen, Virginia) is a prior MML Investors Services registered representative. Between January 17, 2018 and March 22, 2018, William Pitre worked at the firm’s Glen Allen, Virginia offices. Notably, MML Investors Services permitted William Pitre to resign for engaging in misconduct involving at least one MML Investor Services customer. Particularly, William Pitre allegedly failed to conduct due diligence on the customer. The firm’s allegations indicate that William Pitre either failed to perform due diligence on investments he recommended or failed to understand the type of customer he provided services to. Previously, William Pitre worked at MML Investors Services in Baton Rouge, Louisiana (June 4, 2015 to February 2, 2016). 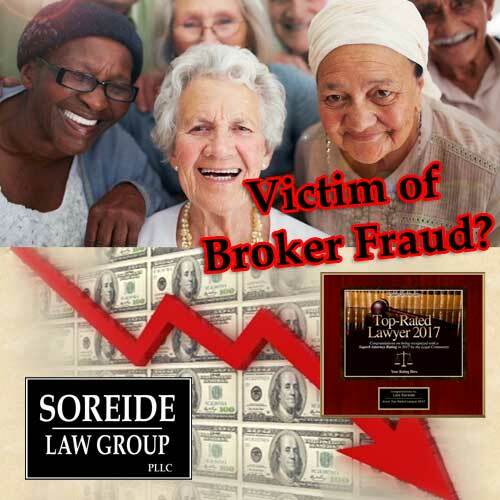 If you have experienced losses by investing with MML Investors Services brokers Michael Vogt, Aaron Black, Thomas Ebel or William Pitre, contact Soreide Law Group at (888) 760-6552 and speak with experienced counsel about a possible recovery of your investment losses. 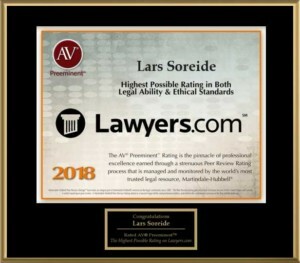 Soreide Law Group represents clients on a contingency fee basis and advance all costs. The firm has recovered millions of dollars for investors who have suffered losses due to misconduct of brokers and brokerage firms.